Pearl Harbor happened on December 7th. My column about it ran yesterday, the 6th. My editor - who knows her history, so don't think unkindly of her - thought that running my column on the day before would work also, perhaps as a reminder to remember the following day. If you enjoy it, and want to share it with others on the 7th, I won't complain. Thanks very much for taking the time to travel where my columns show up. I do appreciate it. Your last two sentences say it best. "Animosity with former enemies isn't the point. The point is to always remember our valiant dead." That's the reason I fly my flag !!! Beautiful post. Linda in Tn. It's interesting. 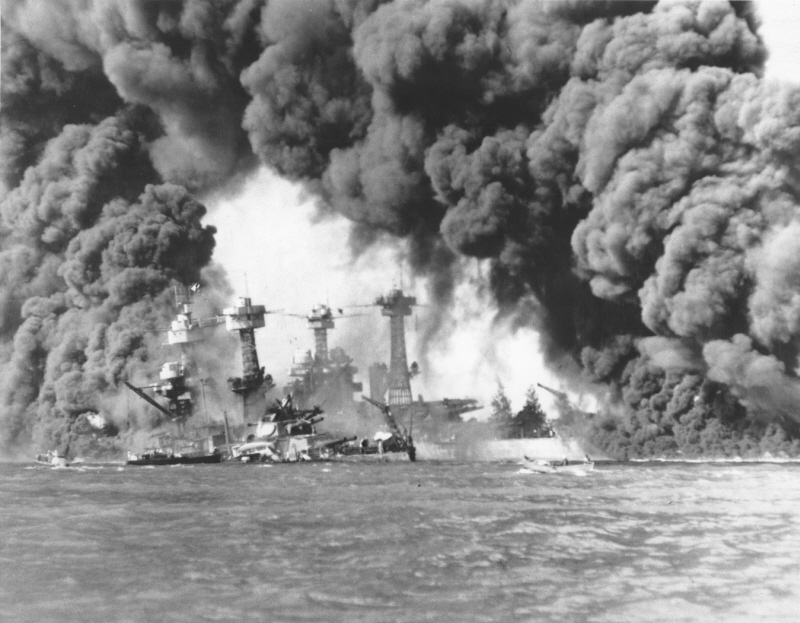 . . Pearl Harbor Day is for parents' roughly similar to what the Kennedy assassination is for me (although clearly, the consequences are MUCH bigger. . .); and what 9/11 is for my kids. . . I have a cousin who was born November 22, 1963. Her mom, my aunt, was born December 7, 1931 - she heard about Pearl Harbor during her 10th birthday party. Which was all weird enough, but HER mother (my grandma) was born on September 11, 1902. . . Excellent points, we need to remember. Craig - Oddly enough for my generation, and my family members, we've all avoided the major conflicts of our days. My Grandfathers were too young for WWI, Dad was too young for WWII (although he did serve during Korea), and Vietnam was over before I was in any true danger of being drafted. Works out for some folks, while others get a generation into everything that happens. It was a well written article and I thank you for it. Looking For Holiday Gift-Giving Ideas?